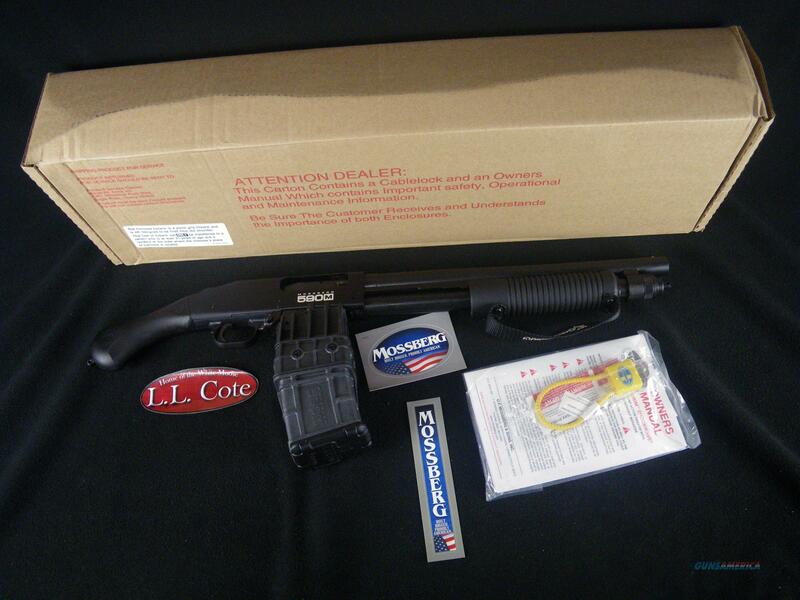 Description: You are bidding on a Mossberg 590M Shockwave in 12ga with a 15" barrel and 2.75” chamber. For home security, tactical, and competition applications, 590M Mag-Fed pump-actions offer many practical advantages: faster reloading/unloading, increased capacity without additional magazine tube length, and quick and easy transitioning between various types of loads. Full magazines are the center of gravity point, making the 590M shotgun easy to balance for greater accuracy. The 590M is designed around the Mossberg 590,® the choice of tactical users worldwide and time-tested over decades of dependable service. The features Mossberg tactical pump users expect are all there: Dual extractors, Twin action bars, Positive steel-to-steel lockup, Drilled and tapped receiver, Ambidextrous safety, and a Heavy-walled barrel. Displayed images are stock photos. Any questions please feel free to ask (our phone number is in the additional information tab above).